You might use an app or VR headset to explore your neighborhood these days, but books still win when it comes to truly understanding where we live—and how those places are changing. Here are 12 books published in 2015 that helped me to see and interpret cities in an entirely different way. 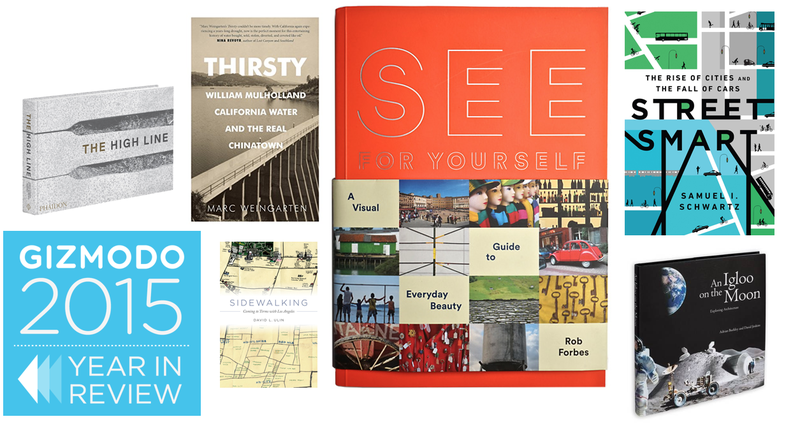 And they all happen to make great gifts for the urbanists in your life, too. By far my favorite urbanism book of the year is this gem by Rob Forbes. Some of you will remember Forbes from when he founded the modernist furniture company Design Within Reach. Others will know him best from his latest venture, the colorful city cycling startup Public Bikes. For both companies, Forbes penned eloquent email newsletters filled with pretty photographs and keen observations gleaned from his travels while sourcing products. Working with designers at Volume, Forbes sifted through thousands of his photos for this book, organizing them into categories like Angles, Decoration, Symmetry, Texture. All the photos are labeled by city and are interspersed with essays on interpreting the urban landscape—most formulated from a sidewalk, train, or seat of a bike. Forbes’s book takes its cues from the 1977 book How to See by George Nelson (a designer you’ll recognize from DWR catalogs) which was written for government workers to teach them how to pay attention to the world around them. You can see Nelson’s legacy in Forbes’s ability to pick up on tiny cultural details provided in a city’s infrastructure, from metal stamping on sewer grates to the way fabric is displayed in a store. Coyotes and giant slugs and baboons, oh my! As more people move into urban areas, animals are invading our cities at higher rates, too, forcing city-dwellers to re-examine the way we design with nature in mind. Tristan Donovan’s excellent book—check out our interview with him—visits cities around the world, checking out bird-friendly skyscrapers and freeway overpasses for mountain lions to see how we’re learning to cohabitate with our wild friends. Five years into the worst drought the West has experienced in centuries (maybe millennia) no book could be more timely than this epic explainer of California’s intensely complicated hydrologic system. The story of Los Angeles’s water grab as told by author Marc Weingarten breaks through years of historical misinformation and cinematic license (and in a way, it’s actually more dramatic than the movie). It’s the most factual, contemporary take of our water problems yet, and a must-read for any Californian. The elevated park that occupies Manhattan’s western flank wasn’t the first rail-to-trail conversion, nor is it the longest or largest. But the High Line’s reclaimed railway is one of the most replicated urban design ideas of the past decade. This tremendously gorgeous book focuses on the unique process by architects Diller Scofidio + Renfro and landscape architects at James Corner Field Operations to preserve what was essentially an untouched derelict wilderness while making it into a useable public space. 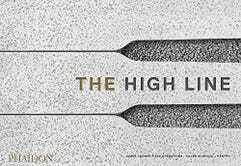 Although the discussion will never end about the High Line’s legacy and what it did to transform the surrounding neighborhoods (for better or for worse) no one can disagree that it’s one of the most exquisite examples of game-changing infrastructure currently on the planet. Schwartz’s convictions led to a whole new way of thinking about traffic. If you plan for cars, more cars will come. If you take away space for cars... well, not much happens at all, really, and cities end up safer, greener, and more healthy. “Gridlock Sam,” as he’s known now, has authored a bible on how more cities are coming around to this way of thinking. And it has plenty of riveting stories just like this one about how cities can get it right. The latest meditation on the importance of urban walking comes from Los Angeles author David Ulin, who investigates how LA—and really all cities—is enabling its citizens to get around on foot (again). Part his own journey to understand the sprawling city, part history of changing urban habits, Ulin writes well-annotated prose on what sends us rambling through the streets. Although I’d argue that his main areas of focus—a mall and a museum campus—are probably the least interesting places to walk in LA, Ulin examines what it means to be a flâneur today, with the future of your neighborhood in mind. 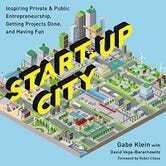 In this delightful book, transit tech guru Gabe Klein and writer David Vega-Barachowitz manage to tie together two of the most important industries shaping cities right now: Technology and transportation. While Start-Up City is ostensibly about how better technology can help cities serve their residents, it’s really a peek into the near future where the urban experience will be improved by a suite of startups—big ones like ride-sharing companies, yes, but also tiny ones which turn fixing potholes into a game. Klein, notably, has worked his way through the ranks, selling healthy food truck fare on sidewalks, helping to launch ZipCar and Bridj, and eventually becoming transportation commissioner for both DC and Chicago. Where this book shines is by highlighting so many different real-world ways that better tech has improved the lives of urban dwellers. It offers plenty of inspiration for big lumbering city governments to solve challenges more nimbly—and often for far less money, too. In this age of Pinterest you’d be forgiven for believing that most of the world is living in spare modern boxes lined with blonde wood planks and white subway tile. That’s why Justina Blakeney’s peek inside these visually exciting homes exploding with color, pattern, and texture is so damn refreshing—it’s a real-world antidote for the antiseptic aesthetic too often portrayed on social media. The author and designer and of her own “Jungalow” proves that great residential design doesn’t need to be fussy, overproduced, or expensive. And it never, ever needs to be boring. When you think of Boston you probably think of Colonial-era rowhouses and cobblestone streets. But in the 1960s, Brutalism—the swooping, heavy-handed concrete modernism from Europe—had a big hand in remaking the city’s neglected public spaces. Any examination of the architectural style that everyone loves to hate is sure to be controversial, but Mark Pasnik, Chris Grimley, and Michael Kubo make a great case for how Brutalism helped revitalize a city on the brink of disaster. 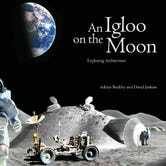 This is supposedly for kids, but adults will also be able to appreciate this attractive book by David Jenkins that serves as an illustrated guide to architectural history, from the igloo to the 3D printing technology that will allow us to live on another planet. Filled with delightful illustrations by Adrian Buckley, the book is meant to inspire the next generation of architects, but I have to say even as a design writer I learned quite a few things myself! The counterculture movement of the 1960s and 70s is the subject of this incredible exhibition up through February 2016 at the Walker Art Center in Minneapolis. And the show’s catalogue, edited by curator Andrew Blauvelt, is an exceptionally gorgeous look at how big thinkers of the era from Buckminister Fuller to Archigram to Victor Papanek aimed to reshape society through art, design, and technology. It’s a peek at the experimental films, visionary architecture and radical journals that may not have transformed the world they way they intended, but certainly made us who we are today. The thought of tile might send you fixating on the glazed decorative squares that make up a backsplash, but owners of the legendary tile manufacturer Heath Ceramics Robin Petravic and Catherine Bailey aim to broaden your horizons, taking readers on a global tour of the ubiquitous building element that’s added graphic complexity to many an urban surface and changed the way our world was built. From wayfinding to infrastructure, gardens to religious buildings, to the tiny rooms where we eat and bathe, our cities wouldn’t be the same without this ancient material.